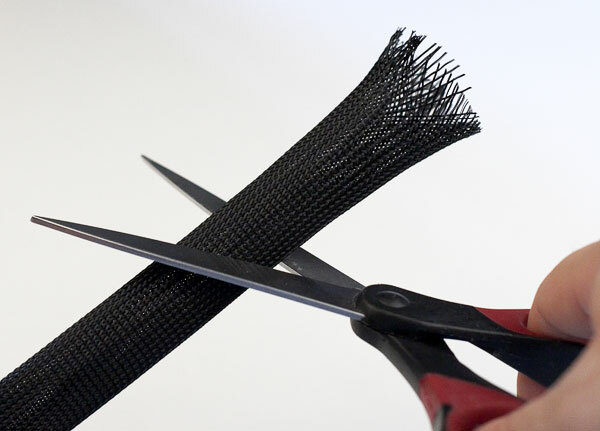 Techflex expandable nylon sleeving is ideal for finishing your DIY cable project, giving it a "professional" look. We stock Techflex in black color, and is available in 5 sizes. The CleanCut version Techflex is a finer monofilament mesh than their standard version, looks much nicer, and has a more fabric-like finish to it. It's recommend to order 30%-50% MORE linear length than you think you may need, bceause Techflex will shorten when expanded around your work. Most interconnects - use 1/4" to 1/2"